SI.com lays out the key storylines surrounding each Pac-12 team during spring football. A year ago, the off-season was full of doom and gloom for the Power 5 conference (the Big 12) that didn't send a team to the College Football Playoff. It needed to expand. It needed to add a conference championship game. It needed to do something or else it was going to collapse. So with only one previous year of precedent, we could expect similar consternation from the league left out of the 2015 playoff, right? Instead the Pac-12 enters preparations for the 2016 season in much the same shape it did a year ago. The conference looks as unpredictable as its famous after-dark games yet several teams hold hopes of making a run to the playoff. Stanford seems a strong contender to defend its conference title, while Oregon heads into ’16 in a nearly identical position to the one it had last year: full of star power but trusting an FCS transfer quarterback guide it all. Washington State's surprising ’15 success and the rising power of Washington has pushed the Pac-12's center of power towards the north, but overall the state of the conference is about as strong as it was before the Pac-12 was omitted from last season's semifinals. Arizona: Is Anu Solomon’s job in jeopardy? After a strong freshman season in charge of the Wildcats offense, quarterback Anu Solomon battled injuries and inconsistency in Tucson during a tumultuous sophomore campaign. Though he still played in 11 games and threw 28 touchdowns to nine interceptions, Solomon markedly struggled in the second half of the season. His absence in the Territorial Cup game against Arizona State, a game in which backup Brandon Dawkins played admirably in a loss, further jeopardized Solomon’s role as the starter. While Solomon likely projects as next season’s QB1, he’s nursing a hamstring injury, and coach Rich Rodriguez remains adamant that the job is open. Arizona State: What is in store for Kallen Ballage? Some pundits expected the touted running back to break out in his second season in Tempe last fall. Instead, he took a backseat to fellow sophomore Demario Richard, who logged seven 100-yard performances and averaged an impressive 5.26 yards per carry. Ballage’s impact could be mostly limited to short-yardage situations (just see his rugby-style touchdown run against UCLA), but the Sun Devils may try and work with a two-back attack to anchor their offense. 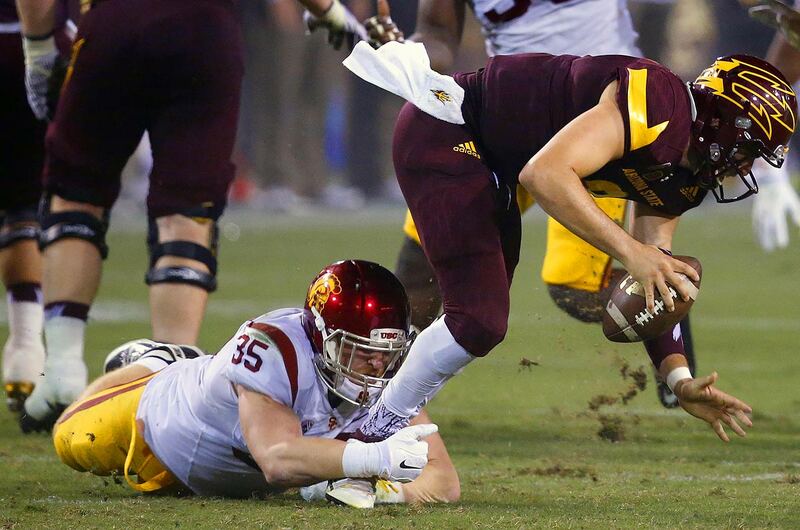 After losing offensive coordinator Mike Norvell (he’s now the head coach at Memphis) and starting quarterback Mike Bercovici, the Sun Devils may be smart to opt for a ground-based attack with two particularly talented rushers in their stable. Cal: Who will replace Jared Goff? It’s probably the easiest question to ask for the conference and one of the most difficult to answer. The star quarterback, who is expected to go in the first ten picks in April’s NFL draft, set every major passing record at Berkeley in three years. Now, head coach Sonny Dykes must find the replacement to lead his “Bear Raid” offense. Backup quarterback Chase Forrest saw limited action last season and isn’t a proven commodity while redshirt freshman Ross Bowers will also compete. The wild card is true freshman, Max Gilliam, who is already enrolled and is expected to make a push for the job. Remember that Dykes picked Goff to start over Zach Kline, one of the highest-rated quarterback recruits to ever enter Cal, so the fourth-year head coach isn’t afraid to start a player with no experience. While Cal’s Jared Goff dominated the headlines, Falk quietly had one of the best statistical seasons in the Pac-12. In his sophomore year, he threw for 4,561 yards with 38 touchdowns and just eight interceptions. Falk led the Cougars to a 9–4 record, including a win over Miami in the Sun Bowl. Freeman broke LaMichael James’s single-season school record after racking up 1,836 yards and 17 touchdowns in his sophomore year. 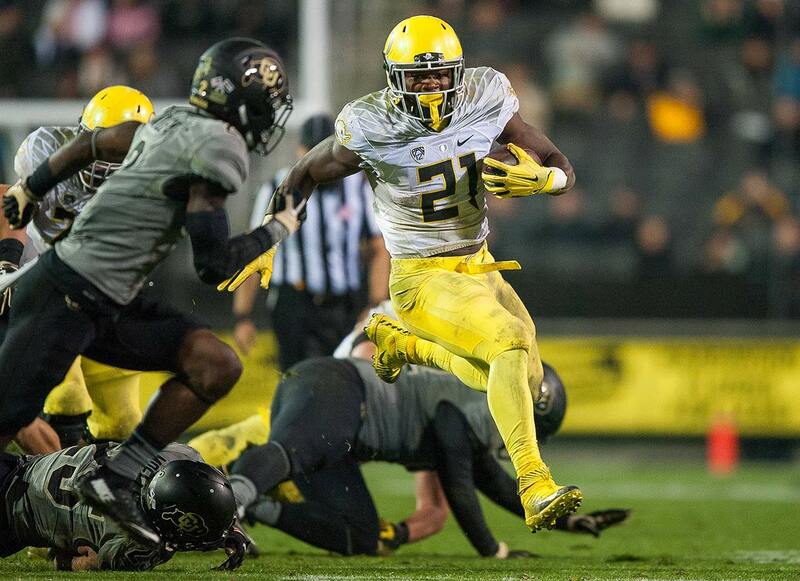 He topped 150 yards in five games, including a 246-yard, two-touchdown performance against Washington State. The junior will be the go-to guy once again this fall as Oregon reloads after a 9-4 season. One of the most dynamic players in the Pac-12, Jackson shined in all three phases of the game in 2015. 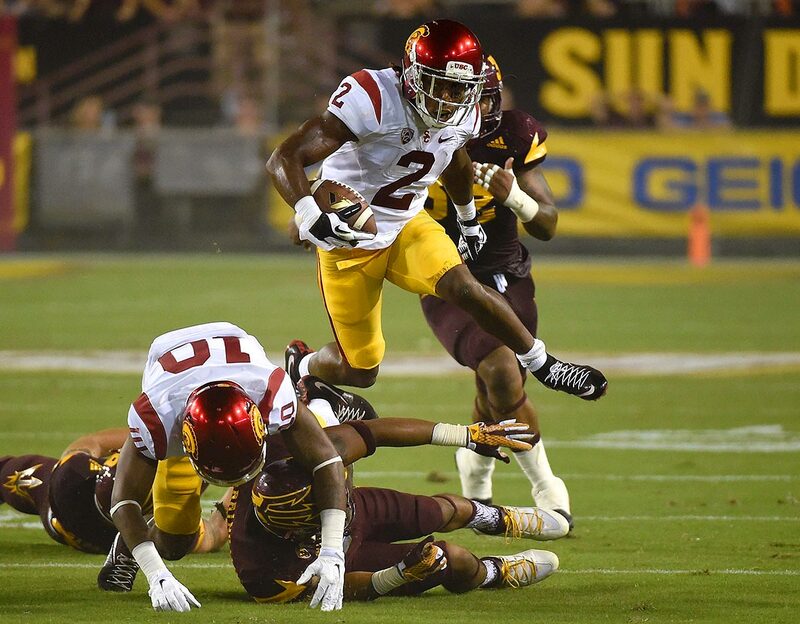 He was the Trojans' primary return man, returning two punts for touchdowns. He also was a starting cornerback, intercepting one pass and returning it 46 yards for a touchdown. He spent time at wide receiver, too, and caught 27 passes for 414 yards with two touchdowns while adding seven rushes for 36 yards on the ground. After totaling four interceptions (good for fourth in the Pac-12) in 2015, Jones was named first-team All-Pac-12. He's just one part of a loaded Washington secondary that boasts fellow first-team All-Pac-12 junior Budda Baker. 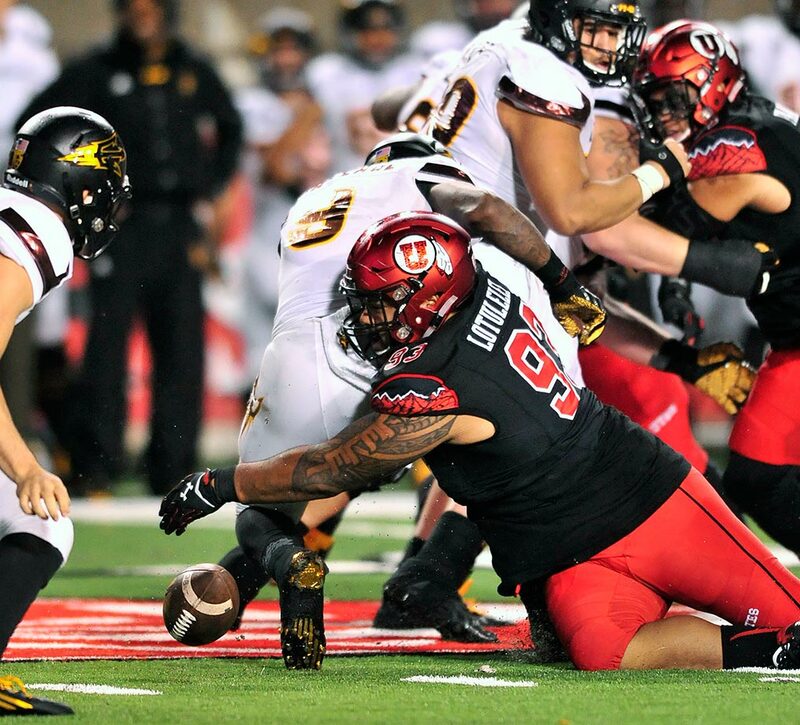 The younger brother to former Utah standout and current Carolina Panthers defensive tackle Star Lotuleilei, Lowell Lotuleilei followed up on his Freshman All-America 2014 season with a first-team All-Pac-12 selection as a sophomore. He has appeared in every game his first two years, amassing 59 tackles and five sacks in his career. Last year, Utah’s rush defense allowed the sixth-fewest yards in the country. McCaffrey had one of the best seasons in the history of college football in 2015, finishing with a record 3,864 all-purpose yards, including over 2,000 rushing yards and 1,000 return yards. He finished second in Heisman voting last year, giving him some unfinished business for 2016. 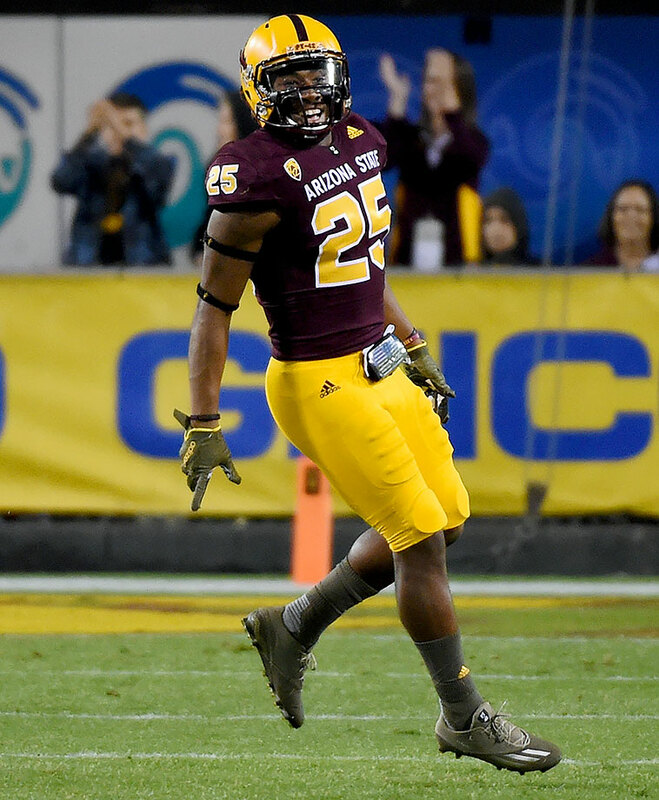 Orr led the Sun Devils at free safety as a freshman, finishing the 2015 season with a Pac-12-best six interceptions, one of which he returned for a touchdown. He added 38 tackles and earned him a first-team Freshman All-America selection by USA Today. 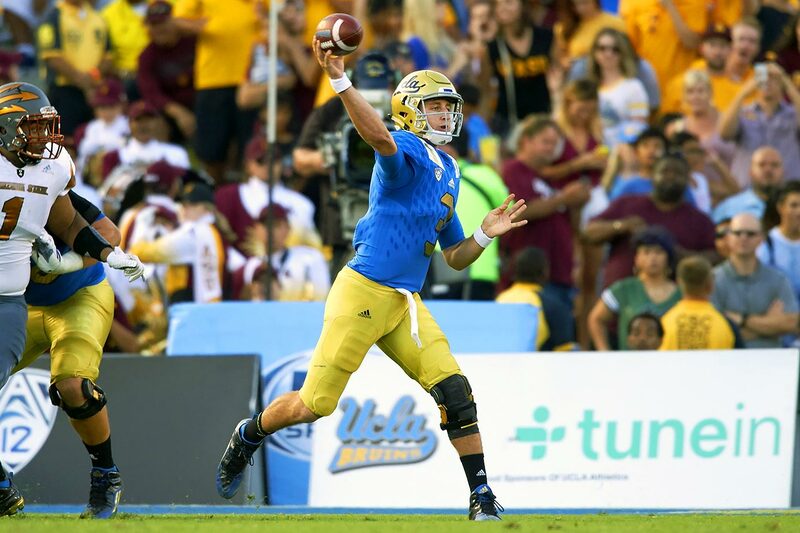 UCLA’s first true freshman to start the season at quarterback, Rosen led UCLA to an 8–5 record and a bowl appearance en route to a Freshman All-America selection by USA Today. The Associated Press also named him the Pac-12 Newcomer of the Year. In his first year at USC, the inside linebacker was second on the team with 78 tackles despite missing the Trojans' final four games with a torn ACL. 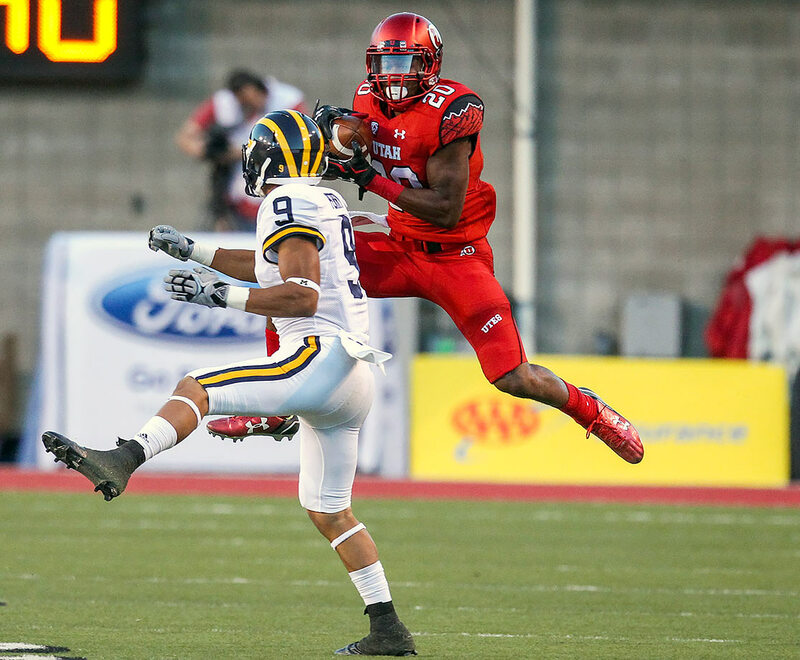 Smith added three interceptions (all coming in a pivotal win over Utah), one sack and one fumble recovery. With Su'a Cravens off to the NFL, Smith's role in USC's defense only becomes more pivotal in 2016. Utah’s free safety started all 12 games as a sophomore, recording five interceptions (including one against Oregon that he returned 52 yards for a touchdown) and 66 tackles. His 2015 season earned him a first-team All-Pac-12 selection. Colorado: Will the defense ever get better? One of the dormant programs in college football, Colorado has not had a winning season since 2007 and has won just five conference games since joining the Pac-12 in ’11. A large part of the problem is that head coach Mike McIntyre has been unable to improve a defense, a unit that routinely ranks as one of the worst in the conference. The Buffaloes surrendered an abysmal 5.72 yards per play last year and allowed at least 100 rushing yards in every game. While the offense showed progress under quarterback Sefo Liufau, the defense rarely allowed the Buffs to stay in games. McIntyre and defensive coordinator Jim Leavitt, the most highly paid assistant in school history, need to improve the unit if both hope to keep coaching in Boulder past 2016. Oregon: Will Dakota Prukop be ready to win the starting job? For the second consecutive year, Oregon enters the season expecting an FCS transfer to start at quarterback. Unlike last season with Vernon Adams, the Ducks will get to start working with their new projected starter in spring. Prukop, the Montana State transfer, arrived in Eugene in January and is ready to practice (Adams wasn’t cleared until after fall camp began because of a transcript issue). While Adams became one of the most electric players in the conference by the second half of last season, his slow start to the season may have cost Oregon a chance at the College Football Playoff. Oregon State: What will defensive coordinator Kevin Clune deliver? With former defensive coordinator Kalani Sitake leaving Corvallis to be the head coach at BYU, Oregon State was left with a large void after a trying 2–10 season in head coach Gary Andersen’s first season. Andersen went back to his coaching tree from Utah State, where he led the Aggies from 2009–12, hiring Clune, who worked under him as linebackers coach and inherited Utah State’s defensive coordinator job in ’15. Clune will have his hands full with the Beavers, who surrendered a ghastly 2,570 yards in their final four games of the season (an average of 642.5 yards allowed per game). While Oregon State’s leading tacklers all return, it’s clear that Clune’s order is a tall one. Stanford: Who is Keller Chryst? 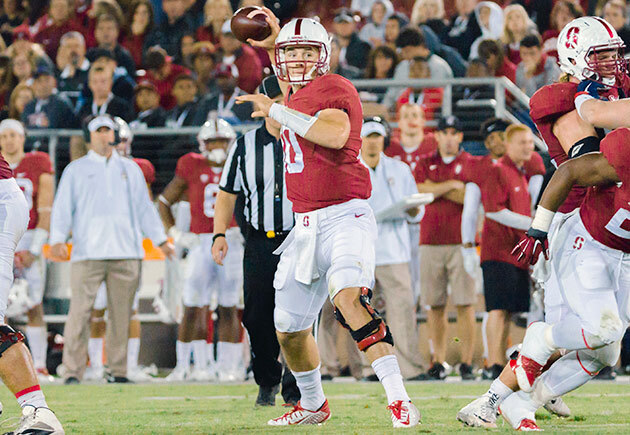 For the last two seasons, rumors abounded whether Stanford coach David Shaw would hand the reins to promising young quarterback Keller Chryst instead of the trusted veteran Kevin Hogan. Hogan kept his job, but now that he has graduated after playing in three Rose Bowls, Chryst appears to be next in line. 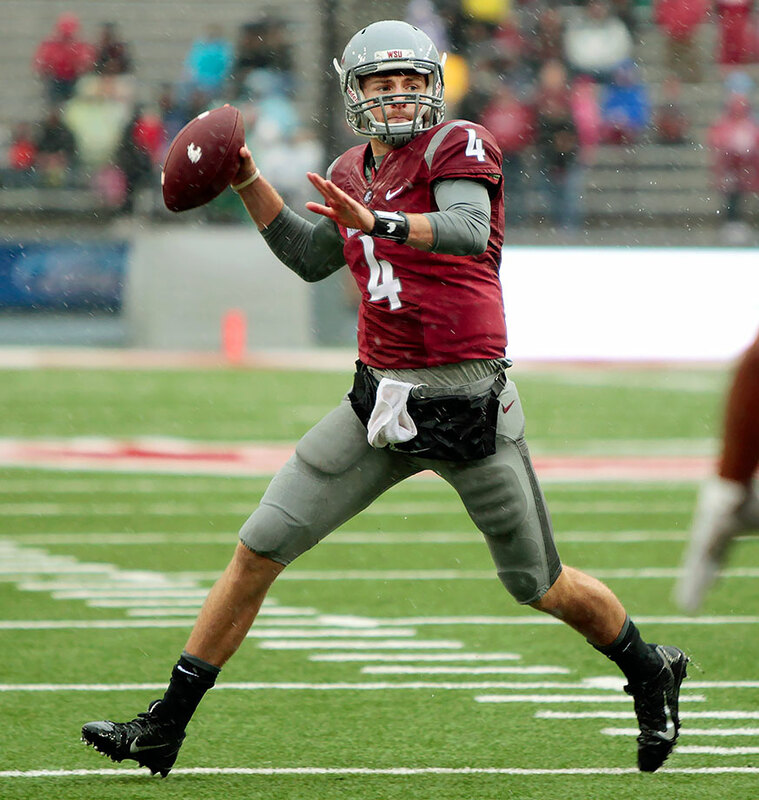 A local product who prepped at nearby Palo Alto High, Chryst enters his redshirt sophomore year having only seen limited action despite being one of the nation’s most touted prep quarterbacks in the class of 2014. He will compete with rising junior Ryan Burns for the starting position. In his typically stoic manner, Shaw has yet to tip his hand on who he wants running the first-team offense. Regardless of who wins the job, the starting quarterback will have the aid of Heisman Trophy runner-up Christian McCaffrey in the backfield. It’s his fourth year in the program, but Max Browne, who recruiting pundits once compared to Peyton Manning, is finally the frontrunner to win the starting quarterback job at USC. Browne was a five-star talent out of Sammamish, Wash., but sat three years behind Cody Kessler and attempted just 19 passes over those seasons. Now, he’ll have to beat out a talented dual threat in redshirt freshman Sam Darnold, though Browne is considered the heavy favorite in spring camp. After three consistent if unspectacular years from Kessler, Browne hopes to vault the Trojans and new head coach Clay Helton back into college football’s elite ranks. UCLA: Is Mique Juarez the next Myles Jack? The departure of star linebacker Myles Jack to the NFL was a serious blow for the UCLA defense, but the Bruins’ next super-athlete may be arriving in the form of Mique Juarez. Juarez played linebacker, running back and even a little quarterback in high school and was considered the most versatile athlete in the class of 2016, according to most recruiting services. While he may not break off long runs like Jack did during his freshman season, Juarez maintains a similar build and athleticism. With Jack’s departure, he may be in line to start when UCLA heads to Kyle Field to battle Texas A&M in its 2016 season opener. Utah: Who replaces Devontae Booker? One of the best players in Utah history is off to the NFL draft, and now the Utes need to find a way to replace the prolific output of running back Devontae Booker. The outgoing senior missed the Utes’ last three games of the season but still finished with 1,261 rushing yards and 11 touchdowns. The job likely falls to Joe Williams, who gained 399 of his 477 rushing yards last season while Booker was out. With quarterback Travis Wilson departing as well, Utah is looking at a major offensive overhaul. Washington: Can the offense take a leap? After plodding to start the season with true freshman quarterback Jake Browning and true freshman running back Myles Gaskin, the Huskies transformed into a formidable unit during the second half of the campaign. Gaskin was arguably the Pac-12’s biggest surprise, finishing fourth in the conference in rushing and logging nine 100-yard performances in his last 11 games. 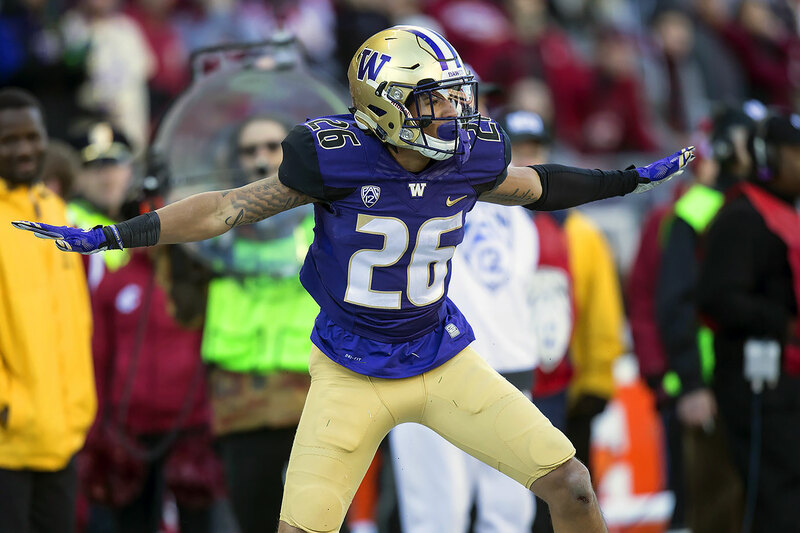 Now, it’s incumbent on both players to take another step forward in their second year in Chris Petersen’s offense to transform the Huskies into a conference favorite. • STAPLES: #DearAndy, what can we expect from Washington in 2016? Washington State: What’s in store for Gabe Marks? Some thought Washington State’s Marks would declare for the NFL draft after a standout junior campaign that saw him log 1,192 yards receiving and a Pac-12 leading 15 touchdowns. Instead, Marks returns for another year with quarterback Luke Falk, who threw for 38 touchdowns and over 380 yards per game last season. With the graduation of second-leading receiver Dom Williams, head coach Mike Leach is likely relieved to have his top target Marks back for one more season in Pullman.